You will get assured cashback offers after doing little process of upgradation. Users must have aadhar card to become a Paytm KFC user. 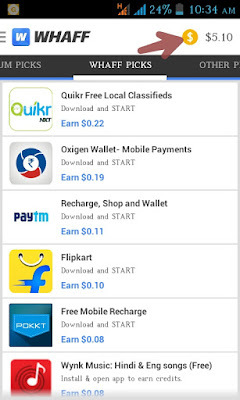 First open paytm app , or download paytm android app from play store or apple store. Now login to your old paytm account using mobile number or email. Click on bank > "Complete KFC". Now click on "link aadhar ". Simply enter your aadhar card number and paytm automatically verify aadhar number. After successfully completing KYC verification, You can get cashback on your further recharge /bill payments by paytm account. Paytm KFC users will get 20 Rs Paytm cash within 72 hours , if they successfully verify account. And more cashback can be available by using paytm Promocode. Use above Promocode while transaction by paytm , You can avail additional 180 Rs Paytm cashback by applying coupon code. This coupon code only eligible to use monthly.So in 1 month you can use this AADHAAR200 only for 1 time , for next 9 months users can use this Promocode. Get cashback of Rs. 20 within 72 hours of approval of your KYC. There is no promo code required for this and Rs. 20 will be credited in your Paytm wallet within 72 hours. This is not applicable to KYC completed through home visit. This additional cash back of Rs. 180 will be spread across next 9 months. You can use this promocode every month to recharge or pay bills and get Rs. 20 cash back on a minimum bill amount of Rs. 100. Promo code can be used 1 time per user per month for 9 months. User can use it a maximum of 9 times. A number can be recharge maximum of 9 times. Not valid on recharge of Airtel recharge & bill payments.